Plan Your Trip to Italy! An Evening in Florence with BonAppetour! From India to Italy: Culture Shocks! Its fun to share different ways to learn a new language and I am happy to say that watching movies has really helped improve my Italian. The last post on Cinema was useful to so many of you so here are some more movies to add to your kitty. Learning Italian has never been this fun! Habemus Papam (2011): Another Nanni Moretti movie thanks to my Italian teacher. This is a story of a cardinal who doesn’t want to be elected Pope and so he secretly escapes the chambers of the Vatican and the story follows thus. Nanni Moretti plays the role of the Pope’s psychoanalyst in the movie while Margherita Buy plays his wife. Can I tell you how much I love her??! Venuto al Mondo (2012): I regret not reading the book earlier before watching the movie but am pretty sure all the Italophilies have heard of either the book or seen the movie. Based on Margaret Mazzantini’s Twice Born, Venuto al Mondo is not for weak hearted. It is a story revolving on motherhood in the backdrop of war in Sarajevo. Watch it on a day when you feel most strong. Read this next- Charming Italian Sentences I love! La Pazza Gioia (2016): Movies on female friendships are special and more so when they are shown so beautifully. La Pazza Gioia follows the story of two women at a mental clinic. They are from different backgrounds and when unpredictable circumstances arise, they come closer. This movie is a nice change from the regular drama and a great way to study Italian while listening. Viaggio Sola (2013): Imagine a life where you get to stay in five star hotels and critique them secretly! From Puglia to Tuscany to Paris and Gstaad, that is the life of the 40 something actress Margherita Buy. It is a rare story line with background drama and loneliness and makes one of my favorites for this year so far. Il Gioiellino (2011): This movie is based on the fraud committed by Italian company Parmalat during the early 1990s. The facts and names have been changed throughout and the film shows much more than corruption at a multinational level. Toni Servillo’s performance is outstanding!! (as always) I would implore you to watch the movie only for him. Have you seen any of these?? Isn’t watching movies the best way to study Italian?? Enter your email to get 10 Tips to learn Italian! Ishita is an Indian Blogger who is in love with all things Italian. Every year, Ishita seek’s new experiences and destinations in Italy; from the southernmost tip of Sicilia to the Northern most parts of Piemonte. Ishita works and lives in Delhi. Go On, Share the Wanderlust! Were you thinking of reading Venuto al Mondo – Twice Born in Italian or English? I haven’t seen the movie or read the book. The only book I’ve read by Mazzini is Il Catino Di Zinco and it wasn’t all that easy. And I’ve seen Non ti muovere and didn’t do cartwheels over it. As I mentioned in the past, I enjoyed Viaggio Sola, which I watched in Italian, but didn’t know the Italian title as the case cover on the DVD only had the English title – and they don’t always match up – A 5-Star Life… I’m curious about the pope movie, though, as I’ve heard that the settings are beautiful. maybe it does make sense. I have a list of good movies to watch in order to learn more Italian. “Ciao, Professore” is one of my favorites. I have others. I don’t know what you meant by the first line you added. Anyhow thanks for your recommendation. Movies are a great way to learn. After years of visiting Italy I am embarrassed to say what I know best is “restaurant Italian.” I can order off any menu. When I travel, I research and know hello, good morning, afternoon, evening, good night. Where is the ladies’ room? Please, thank you, always. Grazie, prego. Kalinictha, good night from Greece. No, I only wish I was there. Stuck in snow country once again. Permesso. (May I pass). Grazie. Grazie mille. Due brodo, insalata Capresi e uno bistecca alla Fiorentiono, per favor. Grazie. Later….. due biscotti e Vin Santo, Grazie. When I lived in Cyprus we learnt some Greek from the sub-titles on English-language television shows. But, where the dialogue said ‘Let’s get the hell out of here! It’s the fuzz!’ the sub-title said ‘We should leave immediately! Some policemen are coming!’ We watched the Greek shows, too … I could just about follow the plot of ‘Kato tis madaris’ by the time we left. Great list, Ishita. Watching movies has helped me tremendously. I’ve been stuck on the Detective Montalbano series for awhile – great for good drama, social commentary and learning Italian – but some new movies are now in order! Thank you so much 🙂 I love that series too!! Excellent, new ideas! 🙂 I watched and liked the first two, and I’ll gladly see the rest. There is one recommendation I forgot to mention the last time: Welcome Mr. President (Buongiorno Presidente). It’s light but entertaining. And right now I have ready to watch a film I didn’t even know existed: Italy in a Day – Un giorno da italiani, a documentary by Salvatores. Do you know it? Italy in a Day is not really a documentary by Salvatores. This was a project like “Life in a Day” by Ridley Scott: they asked for videos made by common people and they put them together…Salvatores was more like an editor than a director in this case. I haven’t heard great things about Italy in a Day: they say it does not really represent the country. I don’t know if it’s true, though, as I have not seen it. Sara, in the meantime, since my comment, I’ve watched it. 🙂 I cried most of the time but that’s just my perimenopause. Hihih. Also, there were no subtitles so I didn’t get everything. I just love watching Italians, you know. 🙂 So for me it worked, even though the second half is a bit weaker. I have not seen the Ridley Scott one, strangely. Will do. And thanks! If they were advised that the footage was to be used for a film, then everybody does and sends in whatever they want. If people have babies, sure they will show them. 😀 Every choice of which footage to use will always be subjective too. It’s creative work, such editing. Anyway, I’m glad I saw it. Thank you Manja 🙂 I’ve not seen Italy in a day. Going to check it out soon. Thanks so much for your awesome recommendation as always..
Servillo is an amazing actor ❤ If you like him, you should also watch Viva la Libertà by Roberto Andò. I’ve heard great things about La Bella Addormentata (Dormant Beauty) as well. I’ve yet to see it, but I want to check it asap. Tough subject matter, though. I’ve seen Viva La Liberta too 🙂 that was right after Grande Bellezza..I’ll check the one you recommended. I would also recommend his brother’s works! Peppe is an actor too, but he mainly sings. Here one of his projects if you like Italian music https://youtu.be/RVdTtvDPTs0 It’s like a fusion of the Napolitan song with contemporary sounds…I like it a lot! Such a talented family, the Servillos! Another wonderful post filled with excellent suggestions. Habemus Papam is a must see! Thanks for the recommendations Ishita. I will choose Il Gioiellino. sounds like my cup of tea. 🙂 Let me know how you like it. Great post, Where do you watching your movies- online, DVDs or cinema? I have limited access to Italian movies and I was wondering how are you managing. I got some CDs from the Italian centre library while others I saw online..Happy watching!! Thanks for your reply. I have just signed up to the local Italian culture institute, well-served what they have in stock. Thank you for saying that. I feel good that I am watching the right stuff. any more recommendations would be super useful. I agree! Watching Italian films is a great way of learning both the language (especially if there are subtitles) and entering into Italian culture, especially when they are so enjoyable and well-acted. A friend of mine, Robin Buss, wrote a book on this theme entitled ‘Italian Films’. It’s not up to date with the latest films but chapter headings like ‘the family’, ‘the school’ etc. show how these films can cast light on the Italian way of life. Thanks for reading 🙂 I will check the book, sounds interesting! Grazie! I'm Ishita and I have an inexplicable connection with Italy. Italophilia is a blog that stems from that connection. I hope you enjoy my Italian journey that offers every day Italian wanderlust and inspiration. 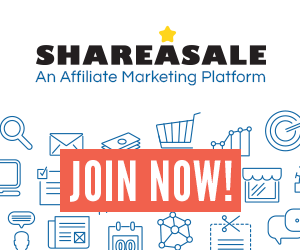 Sign up to earn with ShareASale!